We can’t deny the fact at any cost that it is the golden period of WordPress web development. To be working as a WordPress developer, gives an ultimate opportunity to the professional so that he can create a new website for every client differently and uniquely! Why is WordPress so famous? No CMS has got so much commendations and praises as WordPress. Reasons? Well, there are many! 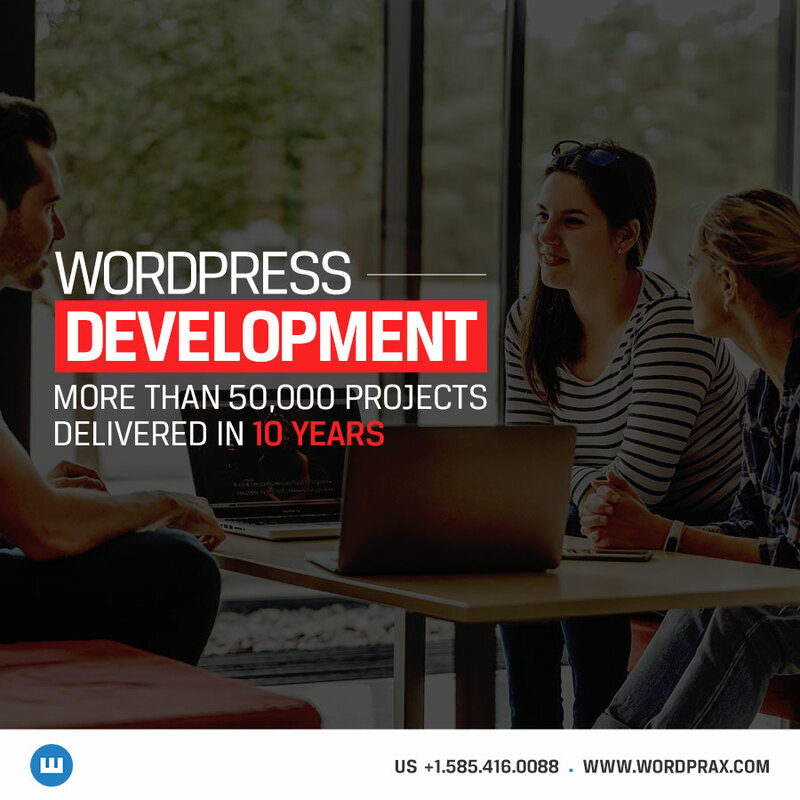 The flexibility of WordPress and the freedom to create tailor-made top-notch websites which are extraordinary to the core is most probably the best feature of WordPress. WordPress aura is glamorous. It’s admin panel is damn sophisticated. Every beginner as well as an expert is equally in awe with the usefully amazing customization features and functionalities. ●SEO-friendly features of WordPress CMS lure the beginners to start with it and they ultimately get addicted to WordPress web development. ●The choice of thousands of WordPress themes to choose from the various categories according to the niche of the prospective website. ●Choice of thousands of plugins in the plugin repository to choose from. Extend the functionalities of the website by using free or paid plugins as you wish. ●Hire a professional WordPress developer for the website and get your very own customized theme made which is unique to just your website. ●Hire a WordPress web development company and easily get your customized plugins made for your website. ●After the product is delivered, you can easily make changes to the website according to the requirement of the client. This is the simplicity called “WordPress”. For anyone to start from the scratch, the most important thing is to look up for an idea that can strike a chord with the people when they open the website. This may seem to be the most ignored step but it is actually the most important one! Until proper market research is done and ideas are scrutinised to get a final idea in the hand, you can’t do anything but drive without any destination in the end. Have a look around and see what your potential competitors are doing? Now, in the next very step, you will need to start bringing those ideas into reality. It is exceptionally important to first take note of the most important thing: Platform and environment that your whole site will be made on. As a developer, it is a pivotal step for you to be ready for the future. You shouldn’t be developing and creating on the old and obsolete versions of WordPress. As far as website security issue is concerned, never underestimate the power of regular updating WordPress software. It is the development stage which should be flawless and appropriate as this will be affected by the environment as well as staging etc. When a WordPress developer is building the website, testing and bug tracking should go hand-in-hand. Not many are able to catch the bugs in a single scrutiny. So, make sure that before you deliver the product, it is bug-free by every means! To conclude, every website should be carefully crafted by the WordPress developer so that the product delivered is up to the mark. Category: WordPress Web Development Services and tagged Web Development by The WordPrax Editorial.